Four characteristics distinguish hardwood trees from others: they are deciduous; they produce a nut or a fruit; they go dormant during the cold season of the year; and they are noticeably harder and more durable than soft woods. The latter characteristic, plus their natural beauty, make hardwoods especially suitable for kitchen countertops, furniture and cabinetry, as well as cutting boards. The Boos butcher block countertops we offer come in hard maple, red oak, black walnut and cherry, in order of hardness. 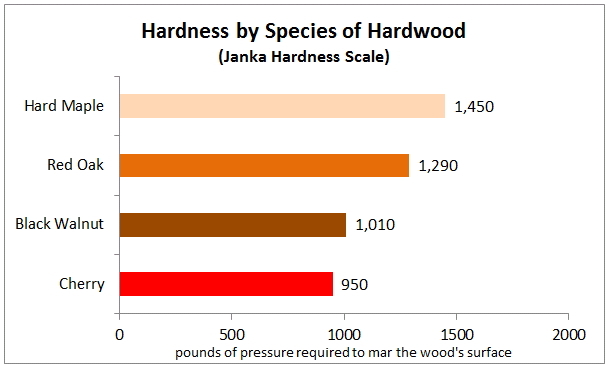 Hardness is reported according to the Janka Hardness Scale, which measures the amount of pressure required to mar a wood sample. As you can see in the accompanying graph, rock maple is the hardest of these four hardwoods - about 15% harder than red oak, which ranks second. Black walnut ranks third in hardness - about 20% below red oak. Cherry is another 5% or so softer than walnut. Wood hardness is certainly something you’ll want to take into consideration as you make your species selection. Hard Maple or Rock Maple (Acer saccharum) is lightest and palest in coloration among the four hardwoods. 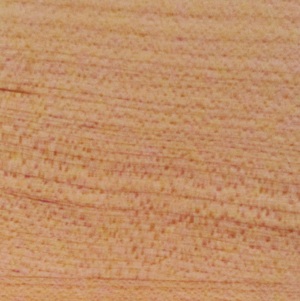 Its sapwood (outer growth rings) tends to range from off-white to cream, sometimes with a golden hue; while its heartwood (center of the tree) is typically reddish to dark brown. Maple’s grain is typically straight to wavy, and its texture is fine and even. Red Oak (Quercus rubra) has sapwood that can range from white to light brown, in contrast with its pinkish to reddish brown heartwood. 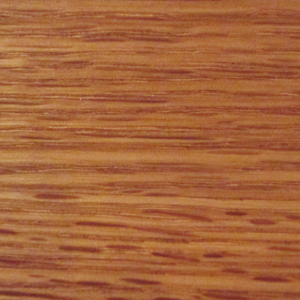 The grain found in Red Oak tends to be straight. Notably, Red Oak’s large and open pores contribute to its coarse texture that one can both see and feel. Black Walnut (Juglans nigra) is the darkest of the hardwoods. It typically features a rich brown coloration. Its sapwood can be a pale yellowish gray or very nearly white. Starkly different is walnut’s heartwood, which can be a light or pale brown or a chocolate brown interrupted with streaks in an even darker brown. 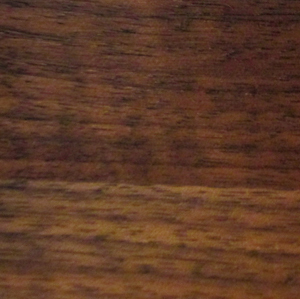 The grain pattern of Walnut can be either wavy or straight, and its texture medium. American Cherry (Prunus serotine) is best known for its pink and red hues. Freshly-hewn, its heartwood presents as a light pinkish brown, but will darken to a golden brown upon exposure to light, since it’s photosensitive. 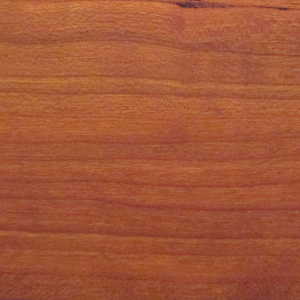 Cherry’s sapwood tends to be a pale yellow. Its grain is typically straight and its texture rather fine. The growth rings of cherry trees, which will be pronounced in end-grain boards, are wavy and can form swirls.